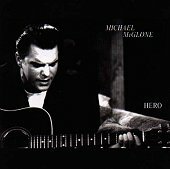 Actor turned musician, Michael McGlone may be best known for his recent role in The Bone Collector , though his debut CD HERO finds him dreaming up musical ambitions as well. A roots, down home country-folk album, with a pop touch, McGlone's Americana sound isn't all that bad. Now, when I first put this CD on I thought, "Great, another actor thinks that once he becomes a huge star record labels will jump hand over fist to sign him because he thinks he's a musician too." Let's just say, my negativity was pretty big and I was doubting him, chalking it up as just another Hollywood boy who got lucky on the silver screen and thinks that his luck will pull his musical weight and ego as well. But, once the music started playing, I was a bit surprised that there actually is musical talent running through the album. "Hey" is the kind of number perfect to just sit back and feel while you're going about your day or wanting to have some music that will expand in your mind. "Juliet" has a sweet ring to it and an easy-going, laid back feel that is easy to get into and harder to ignore. All the while, tracks like "Easier To Leave" and "Long Way To Go" find you in your chair with a beer, laying back and letting McGlone's tender voice and back porch sorrow help you settle down for the night. If you're into some good Americana roots music, and aren't afraid to try something new and take a chance, McGlone may surprise you too. Though he's got a way to go in his songwriting abilities, here is the proof that if he persists, his musical career may happen too. I'll give it a C+.